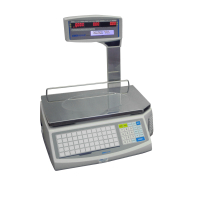 Price computing scales are typically used in commercial retail environments for calculating price based on weight. 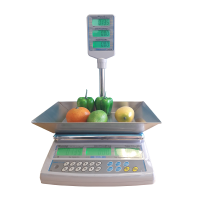 The scales we provide are fully NRCS trade approved for buying and selling products by weight and are suitable for use in supermarkets and grocery stores requiring fast and accurate price computing functions. 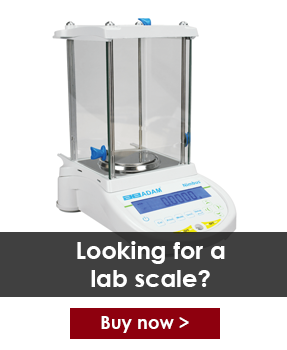 We offer a wide variety of price computing scales that have rear / pillar mounted displays to simple bench top scales. If you need to network your scales the NETS offers label printing as well as the ability to store multiple PLU's. If you need help in finding the right price computing scale for your needs then please call or visit our contact us page and we will be happy to help finding a solution. Adam Equipment's WBZ retail scale is ideal for shops with small counter space or facilities specialising in processing, preparing and packaging food. Includes IP66-rated washdown housing for protection against dust and water. NRCS approved for trade use. 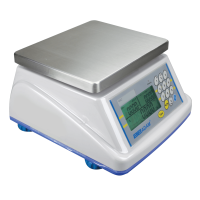 Adam Equipment's AZextra Retail Shop Scale offers exceptional value for money These scales are Trade Approved to NRCS standards for selling products by weight, they are also supplied with a certificate of conformity. Perfect for butcher's shops, fishmongers, retail stores, farmer's markets, frozen yogurt shops and for general buying and selling of food products by weight. The NETS is a fully NRCS trade approved retail scale with price computing applications for selling products by weight. Ideal for busy commercial retail and food environments. Q: Do price computing scales need to be trade approved? When dealing with transactions, it is essential that you are using a fully trade approved scale certified by your countries metrological authority, for example, NRCS approved in South Africa, NTEP in the USA and EC approvals within Europe and the UK. As price computing scales are used to calculate a price based on the weight of a product, it is compulsory that you are using a scale that has been trade certified. Businesses that require trade approved price computing scales include butchers, fishmongers, sweet shops, deli shops, fruit and vegetable market stalls.